Our evidence points overwhelmingly to controlled demolition. It has also been discussed extensively in many locations, including in numerous peer-reviewed scientific articles, and in four days of public hearings that were held at Ryerson University in Toronto. 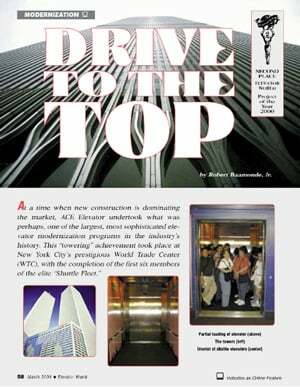 Elevator World documented the largest elevator modernization in history in their March 2001 edition. It was taking place in the WTC Twin Towers during the 9 month period prior to 9/11 and should have been investigated by the FBI, along with the security company Stratesec, as a source of access for the surreptitious placement of explosives throughout the core columns and beams in the towers. After consulting with many sources and experts, we noted that the Port Authority of New York and New Jersey, which has public responsibility for security of the buildings of the World Trade Center and is subject to the jurisdiction of the State of New York, had entered into security contracts with certain companies for work inside the buildings of the World Trade Center during the year preceding 9/11. These contracts covered work on elevators, which could easily have provided access to elevator shafts and internal structures. This unfettered access could have compromised security of the WTC buildings to such an extent that it made the professional engineering of controlled demolitions throughout the months leading up to 9/11 entirely conceivable. The actual contracts for work on elevators are available on the Internet. Furthermore, we have confirmed that neither the Federal Bureau of Investigation (FBI) nor the National Commission on Terrorist Acts Upon the United States (9/11 Commission) made any attempt to consider controlled demolition as a cause of the destruction of the three WTC buildings, nor did the authorities publicly investigate the security contracts signed by the Port Authority for the World Trade Center during the year preceding 9/11. In fact, the evidence showing controlled demolition was not intensively researched or widely understood until after the FBI and the 9/11 Commission completed their work. 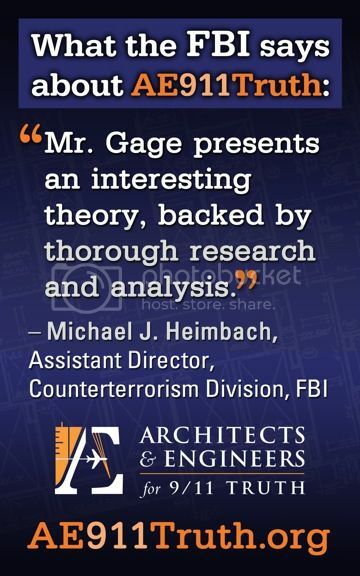 AE911Truth, for example, did not start to study this evidence until 2006, when the organization was founded, by architect Richard Gage, AIA. The detailed hearings at Ryerson University were not held until a decade after 9/11. But now that we do have powerful evidence of controlled demolition and proof that access to the buildings during elevator modernizations made controlled demolition feasible, and now that such evidence is legally sufficient for a prima facie case of criminal activity, it is time for a proper investigation to be conducted by a grand jury, guided by a special prosecutor. We believe that the culprits against whom sufficient evidence is found can and should be identified and brought to justice. The primary prosecutorial authority rests with Vance, who has a legal duty to the people of his own county and state — and a moral duty to the nation. So far, Vance has made excuses for sitting on his hands and has based these excuses on manifestly false pretexts. 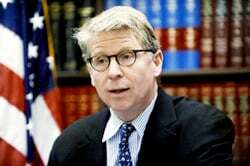 Cyrus Vance, Jr., Manhattan D.A. In light of the new evidence regarding the security contracts of the Port Authority of New York and New Jersey, we decided to petition Mr. Vance a second time on May 21, 2014. Once again, we asked for a confidential meeting to discuss appointing a special prosecutor and a grand jury that would investigate the true cause of the three buildings' destruction on 9/11/2001. This time, Vance refused even the courtesy of replying to our lawyer in New York City, who later advised that we could now conclude that Vance has no intention of responding, and that we should feel free to inform the general public of that fact. If the district attorney and/or his designated lieutenants had shown interest in meeting with a committee of representatives from AE911Truth, we would not be making this information public. This subject has nothing to do with the "conspiracy theories" that the establishment press so often touts in connection with 9/11. Rather, our proof of controlled demolition is a matter of cold, technical, forensic evidence. However, it is obvious now that we have in the United States a conspiracy of silence by those holding powerful positions who do not want 9/11 investigated. Accordingly, we now proceed to publish in full our second petition to the office of the state district attorney for New York County, including proof-of-transmittal papers and appendix items, so that it is clear that we have attempted to call legally sufficient evidence to the attention of the appropriate public authority, Cyrus Vance, who persists in abdicating his responsibility. — Cover letter by William H. Schaap of the New York Bar to District Attorney Cyrus R. Vance, Jr., sent on behalf of Architects & Engineers for 9/11 Truth on May 21, 2014, with proof of transmittal. — Letter by John Remington Graham of the Minnesota Bar petitioning Cyrus R. Vance, Jr. on behalf of Architects & Engineers for 9/11 Truth on May 9, 2014 , together with four appendix items. Appendix item #4, a list of expert witnesses testifying on behalf of AE911Truth. Note: When you click on the above PDF letter links, each will open up into a new window so that you'll be able to download, save or print as needed, and also be able to keep the article open in which to refer back in a separate window. Vance won't budge. I was a huge advocate for setting up meetings with him for years. His reasoning to not pursue 9/11 crimes is beyond lame -- it is itself criminal. Even the HRSI effort wasn't challenged on the grounds that the City had no jurisdiction with regard to Building 7. So what about the FBI? To my knowledge AE911Truth hasn't met with them since 2009. Time for a follow-up. It's free. Arrange a meeting. Remember this? *Anyone could present the evidence, not just an architect or engineer. FBI field offices are throughout the country. Film the meeting if possible. Deliver the 25-point white paper. RL McGee on Thu, 11/06/2014 - 9:25pm. Information Please enter your information. There is a 3000 character limit. Joe on Fri, 11/07/2014 - 5:39pm.